Sybil[aria] as in Sybilla meaning prophetess and aria – air – luft – sound – being transported by means of breath. prophetesses, fortune tellers, girls who chewed laurel leaves and other funny substances, spouting strange gibberish which was alleged to be the words of the Gods. There were said to be as many as 10 Sibyls, variously located and represented. The Erythraean Sybil, which wrote on leaves and arranged them so that the initial letters of the leaves always formed a word. The word acrostic was first applied to her prophecies. Sybil[aria] – a performance – it can take many shapes. It was born out of the collaborative longing of angela rawlings and maja jantar to work with and from divinatory practices in their work. It can take on the form of a full blown city oracle working from and with the stories of the people – voicing their fortunes. 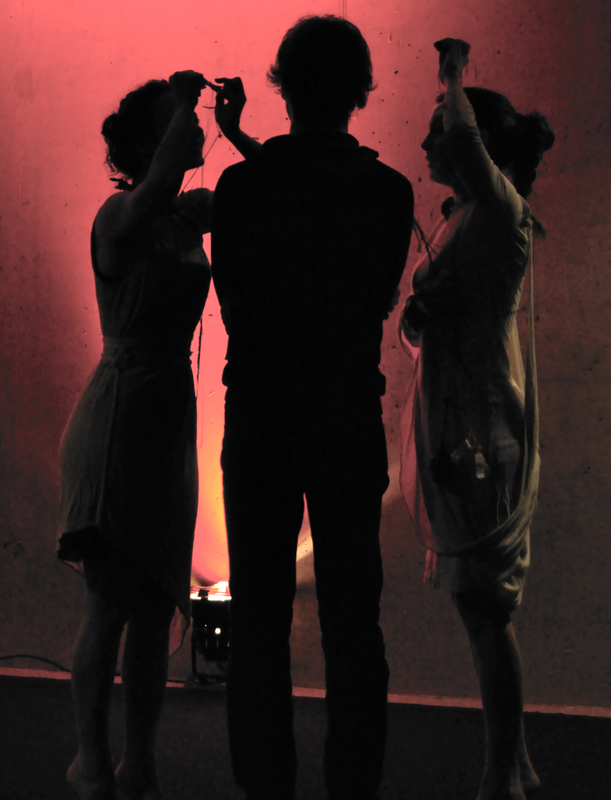 Or it can exist as an intimate one person performance – performed in stereo by two Sybil’s – both creating a separate acoustic environment in the ear of the auditor. 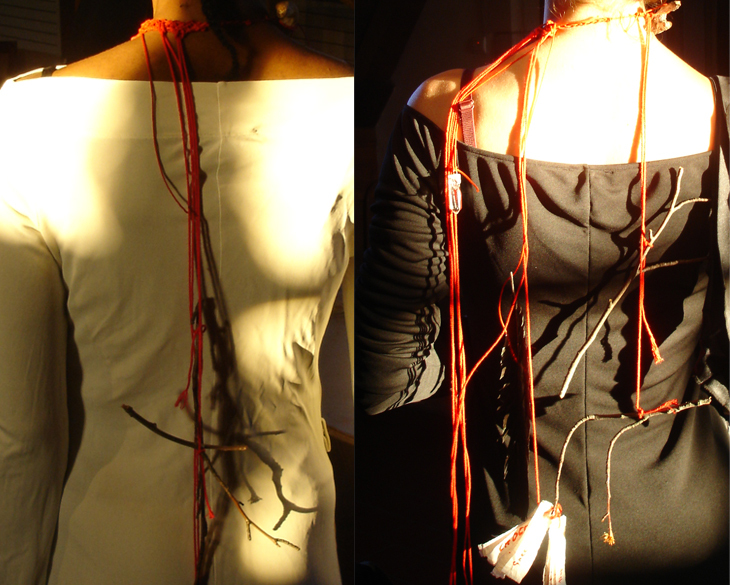 Each Sybil equipped with a necklace containing various sound pouches, amulets of word, scraps of talk and other organics – enabling them to generate deep auditory experience.